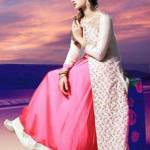 Zunaira’s Lounge, women luxury wear clothing brand now introduced its latest range for brides and grooms. 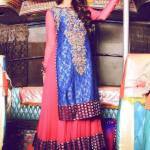 Zunaira’s Lounge is the clothing brand that was founded in August 2010 by Pakistani fashion designer Zunaira. Now Zunaira’s Lounge is one of the big and emerging fashion brand in Pakistan and always introduced some nice designs. Zunaira’s Lounge Bridal & Groom Collection is the blend of striking patterns, beautiful colors, unique fabric range and extra ordinary elegant stitching styles that is perfect for today’s era fashionable grooms and brides which they can wear on the special days in their life. The collection comprises variety of bridal lehanga or frocks and groom traditional sherwani designs as per the most recent fashion tendency of world’s famous and leading bridal/groom wear clothing designers. 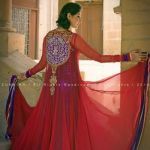 Zunaira’s Lounge latest bridal and groom dresses are the combination of beautiful color palette including mostly bright colors like pink, green, sharp purple, parrot, royal red, deep blue, brown, green, black, white, grey, tea pink and other striking colors range. Nice stitching patterns enhances the overall beauty of each dress that will suit you well on the special days in your life. Zunaira’s Lounge bridal wear collection are decked with shinny beads, gotta patches, zari dabka and stones work on the border area, necklines and back side with the heavy embellished work on dupatta with finest embroidered patterns. Today we are going to share with you latest Zunaira’s Lounge groom sherwani and bridal wear frocks collection. Check below here Pakistani fashion brand Zunaira’s Lounge New Bridals & Grooms Collection. See here complete designs lookbook.